The city of pearls and the land of Biryani, has always been in trend for its fashion. Hyderabadis have been always with elegant taste of fashion. Our fashionistas always show up their bests in their boutiques. Hyderabad has no dearth of designers and their boutiques. 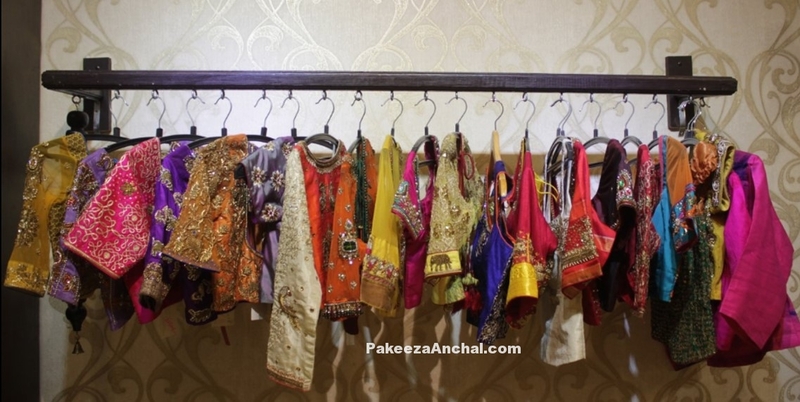 Here is the list of top 5 designer boutiques of Hyderabad. We find her boutique when we are at road no : 3, at Banjara hills. We topped her to the list as her collection of designs made their way to Lakme Fashion Week a very renowned show. Her speciality is that she is a designer who is self-made. Her passions and interest in designing made her a designer. Her collection has all the trendy looks. Her designer wears can be found in boutiques like Elahe, Anahita and Angasutra. At Jubilee Hills, we find our next top designer boutique of Hyderabad. Here we find all sorts of bridal wear with an extra ordinary collection. It gained its fame from its Vanki style blouses . Not to forget to mention here that its muggu work blouse got them lots of fame. It was found by Kavita Gutta. It has famous bridal wear and wedding collections. Hand crafted embroidery with precious stone work made it very unique. Shalini Subramanian the founder of this boutique. Her interest in handloom and hand craft made her open this designer showroom. Its a very trendy boutique for trendy lovers. Handloom silks and natural dyed fabrics are seen here. This boutique is not about fashion. It is design sensibility that retains its fashion according to Shalini. Her boutique is not just for a particular age group, but it appeals to all those between 14 to 75. She restructures her designer idea according to the bodies of people. A blend of traditionalism and modernism is Anahita. When we are at Banjara hills , Road No :7 , we find this fashion store. We find luxurious designer wears here at Anahita. Its considered as a very luxurious collection of designer wear. Here’s a good collection of few designs which we find in no boutiques of Hyderabad. Its a multi designer boutique of hyderabad. This fashion store has collection of many Bollywood celebrities. It has collection of various designers. Shantanu Goenka and many other popular designers have their collection here. It has exotic styles of bridal sarees as well as Lehengas. It has got a good collection of silver store as well. Its from Jaipur ‘s Amrapali. All of them emulating the Indian traditions. Sunny Leone has done a item song in Shahrukh Khan’s upcoming movie. She has a performed very well in the song and looked stunning wearing a Blue backless Choli and Lehenga in the song Laila Main Laila in the movie Raees. I know all of her fans are eagerly waiting to watch this song as this was released today on Youtube. Aditi Rao Hydari was seen in a Blue and Pink Floral designed Sparkling Lehenga during the photoshoot of Hi! Blitz. She wore this full Lehenga along with a flora designed full sleeved short Jacket to accentuate with the Lehenga. She completed her looks by wearing a neck-piece from Gehna Jewellers for the shoot. Anushka Sharma styled herself in a gorgeous black and gold shimmering Sabyasachi outfit. She completed her looks Wearing Shillpa Purii oversized earrings and Jewellery by Amaze Jewels pearl bangles. With a Black Bindi on her forehead and tightly fitted bun made her look awesome for the wedding event. 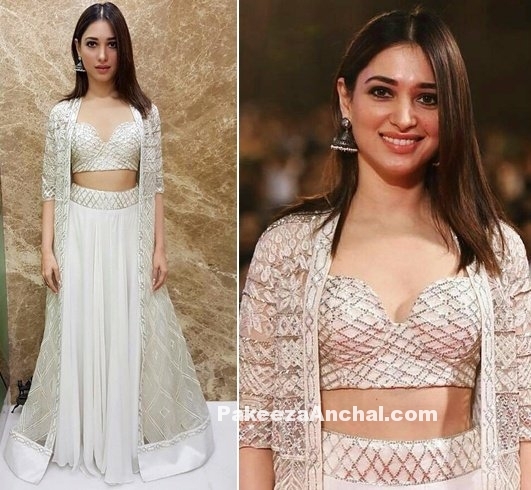 South Actress Archana Veda/ Veda Sastry in Georgette Lehenga choli with tassels at the waist. A combination of printed Black choli and blue Lehenga with gold border made her look gorgeous in this attire which was designed by Archana Kochhar. Lara Dutta chose to wear a Monisha Jaising outfit in purple color. The Lehenga with a full sleeved choli for Anam Mirza’s Reception looked stunning on her. Lehenga was embellished with butterfly design embroidery and zari work. She styled herself with a low bun hairstyle carrying a gold-clutch and Pearl Jewellery by Farah Khan. Rakul Preet Singh wearing a Thread work embroidery Lehenga Choli Dress with Netted Dupatta. Mehedi Color choli with shaped neck with wavy hairstyle and dark red lips. She completed her looks with long hanging Jewellery for the event. Asmita Sood wearing a Black Color Lehenga Choli with Mirror Work. Elbow Length Choli had a high collar neck with mirror work on neck and sleeves. She paired it with black Dupatta with mirror work border. With Pink Lips and pen hair she looked gorgeous in this Desi Ethnic outfit.